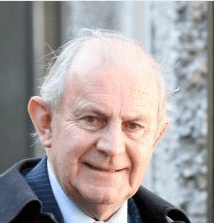 The death has been announced of well-known Cork property developer Owen O Callaghan, the head of O’Callaghan Properties. Mr O Callaghan was the driving force behind many major residential and commercial developments in Cork and Dublin including Liffey Valley Centre in Dublin, Mahon Point Shopping Centre and the Opera Lane complex in Cork. He passed away in Cork University Hospital after a short illness. Mr O Callaghan was one of the country’s best known developers, who in addition to being responsible for some of the largest residential and retail developments in Dublin and Cork was also at the centre of some of Ireland's highest profile political rows. Mr O’Callaghan originally qualified as a quantity surveyor and worked for the Cork engineering firm of O’Connell and Harley. In 1969 he founded Omac Ltd; and his first development project was a 60-house scheme in Youghal, Co Cork. Omac later went to develop the 260-house Glenthorn Esate in Cork City, and a 600-house scheme at Calderwood, across the city. In addition to residential Mr O Callaghan also developed a number of industrial schemes at that time. In the 1980s Owen O Callaghan moved into retail with the Paul Street Shopping Centre and multi-storey car park in Cork City. He would later develop Merchant’s Quay, Douglas Shopping Centre, North Main Street, Mahon Point and then Opera Lane. O’Callaghan Properties, is currently planning a massive office development complex on Albert Quay. A plan to expand the Mahon Point Shopping Centre was also being considered. Lord Mayor of Cork Des Cahill was among the first to lead tributes to the Cork man today, describing him as "visionary" and a man who contributed so much to the life of his native city. Owen O Callaghan supported numerous charities in Cork. He is survived by his wife Sheelagh and two surviving children, Brian and Zelda. His youngest daughter Hazel (22), died as a result of an accident in July 2002 when she fell while loading a horse into a horse box.